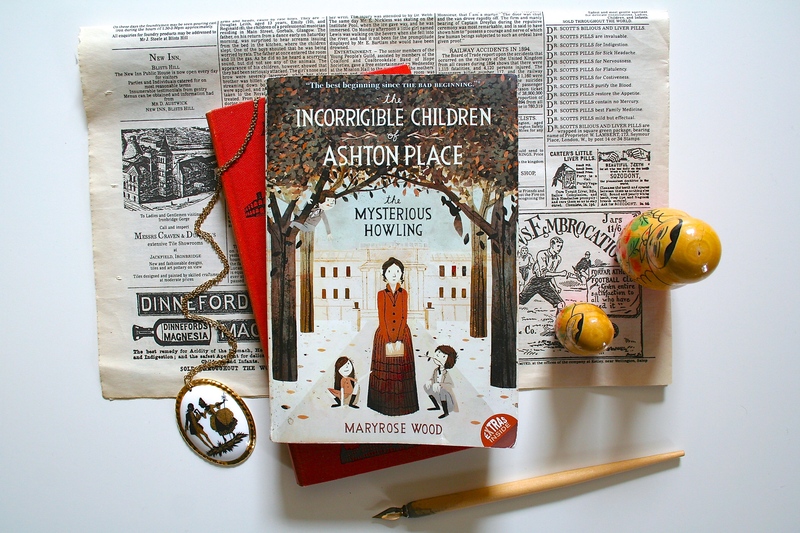 This is a review of the book ‘The Mysterious Howling’ by Maryrose Wood, the first in the Incorrigible Children Of Ashton Place series, and a look at the work of its illustrator, Jon Klassen. I’ll confess, the main reason I decided to read this book was because of its beautiful cover artwork. I love the muted colours and vintage feel of the design, but also the way that it’s eye-catching and quite stylistic. 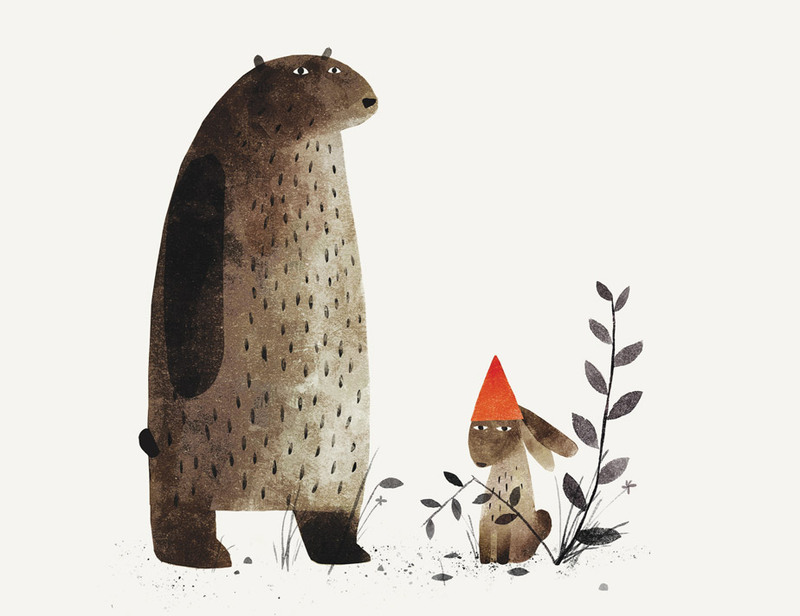 As well as the cover, there are black and white Jon Klassen illustrations peppered throughout the book which make it quite the visually-pleasing treat! He’s the author and illustrator of the much acclaimed picture book ‘I Want My Hat Back’ which is full of brilliant deadpan illustrations and dark humour. “Found running wild in the forest of Ashton Place, the Incorrigibles are no ordinary children: Alexander, age ten or thereabouts, keeps his siblings in line with gentle nips; Cassiopeia, perhaps four or five, has a bark that is (usually) worse than her bite; and Beowulf, age somewhere-in-the-middle, is alarmingly adept at chasing squirrels. Let’s start with what I enjoyed! I like the books I read to be set in the past (or made-up magical/fanatsy lands) so a story set on a sprawling country estate was always going to appeal. I liked the character of Penelope Lumley. At fifteen, despite her rigorous education, she was still naive and innocent, which was nice to see as I was worried at first that she’d be a fully-formed, flawless protagonist, who was practically perfect in every way. (There was a touch of Mary Poppins about this book, but I quite liked that, especially after having just read the original story by P.L Travers.) I liked the supporting characters too, especially the housekeeper Mrs Clarke – who is constantly out of breath – and the mistress of the house, Lady Constance, who is obviously quite unhappy beneath her upper-class exterior. I also liked the premise of the governess having to domesticate three unruly wolf-children, though I was hoping for this process to be a lot more gradual. After however-many-years living in the forest I felt the children started speaking, reading, and writing far too quickly. Though the story was set almost entirely at Ashton Place a lot is said of the Swanburne Academy for Poor Bright Females and through Penelope’s reminiscences you really build up a detailed picture of the place. I liked hearing about it and the teasers about Penelope’s past too. The story is clearly supposed to be set in England at some point during the Victorian era (my guess is around 1860 as the ladies wear crinolines, there’s steam railways, but sill gas lighting, pre-electricity.) This is made clear through the description of the country house, mentions of London, and phrases like “there are certainly enough orphanages in England to take them in.” However the book is filled with Americanisms that are really jarring and would certainly not have been used in Victorian high society – ‘holidays’ ‘faucet’ ‘flashlight’. There was also mention of the children putting ‘ketchup’ on their food which seemed really out of place. I also disliked the way the author would reference modern things – ‘if you have ever visited a theme park full of roller coasters… [&] water slides‘ – as I felt it dragged you out of the Victorian surroundings that you were just settling into nicely. In places I also found the English phrases or sayings a little contrived and if I was being really picky, I don’t think a rigid British institution such as the Swanburne Academy for Poor Bright Females would teach it’s pupils an American work like ‘The Wreck of the Hesperus’. I think a British work would have seemed a more natural choice, given the historical context. Overall the book was engaging and easy to read. The story was left open-ended with many mysteries still to uncover so I shall definitely be buying the next in the series. I’d recommend it as a good read if you’re looking for something light-hearted and fun, with a touch of Mary Poppins-meets-Jane-Eyre!